When I was in graduate school in the early 80’s, strategic planning processes included five-, ten- and sometimes even twenty-year plans. The past was relatively stable and indicated that things would continue as they were into the future. The assumption was that the near future would resemble the recent past. Rapid cultural, technological, and geopolitical change has rendered that assumption obsolete. Leaders must focus more on preparation than on planning. Mancini taps heavily into Reggie McNeal’s work here. McNeal, a consultant with The Leadership Network, has written several great books. In The Present Future he addresses 6 tough questions for the church. The one of interest here is “How do we plan for the future?” The short answer is, as both Mancini and McNeal elaborate, you don’t plan – you prepare. Planning on past actions and assumptions will lead you to cultural irrelevance, methodological obsolescence, and missional ineffectiveness. Churches looking to planning like they always have will be left answering the wrong questions at best; at worst, they will be answering questions not asked! Church Unique is not a road map that assumes predictability of fixed points and roads that stay unchanged over time. 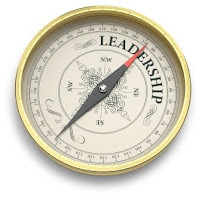 Instead, the tools of Church Unique are more like the compass, sextant, and chronometer of the sailor who moves across an ever-changing sea. Navigating the waters of today’s rapidly changing times requires ceaseless observation and adaptation to the surrounding environment. The better (and biblical) approach to the future involves prayer and preparation, not prediction and planning. As a leader, are you seeking vision clarity first? >>Download a free summary of Church Unique here. >>Download a free summary of The Present Future here.